Washington state is experiencing a significant teacher shortage in its public schools. The shortage is across all areas of K-12 and is particularly acute at the elementary level. With a deficit of approximately 7,200 teachers, the shortage is on an order of magnitude that is difficult to comprehend. Pasco School District, for example, hired 200 teachers during the summer. This is still 51 short of what they need. I have also recently heard that Yakima School District had (and may still have) 26 positions open with no applicants for any of them. I have received written testimonials from several other school district superintendents that are equally alarming. As anyone can see, a shortage of this size won’t be easily dealt with. And Washington is not the only state with this issue. With enrollment in teacher preparation programs down 30 percent across the country, there are many states finding it difficult to fill the ranks of their teaching workforce. Thus, this is a national issue. The Professional Education Standards Board, or PESB, is moving in earnest to address the teacher shortage, working productively with school districts, teacher preparation programs, and the legislature. They have produced a number of documents that describe the problem, describe factors that have likely contributed to the decline in the number of teachers, and give strategies to address the shortage (See http://data.pesb.wa.gov). While there are several factors that contributed to the decline, key for Washington was the downturn in the economy from 2008-2012, which froze the job market for teachers. Though significant retirements were predicted during this time, teachers chose to stay. Teacher preparation programs quickly found that their graduates couldn’t find jobs. In response, the legislature encouraged teacher preparation programs to reduce student slots. Those retirements that were predicted earlier are now occurring in very large numbers, surpassing even what was previously predicted. Coupled with the mandate to reduce class size, and the state is in a real bind. Rural and remote school districts are being disproportionately affected. And in this mix, throughout the state and country, is the very real shortage of teachers who are culturally and linguistically diverse. Teacher preparation programs in the state have done a good deal of work over many years to increase standards and be selective. This was done based on calls made by reform-minded individuals and organizations, both inside and outside the teaching profession. As a result, the state is clearly providing better prepared teachers into the workforce. And as PESB mentioned in one of their documents, what we don’t want to do as a state is relax these standards as a policy mechanism to try and obtain more teachers. In a 2009 study of class sizes in California, published in the Journal of Human Resources, the authors found that the positive achievement benefits that accrue for smaller class sizes were diminished by allowing emergency credentialed teachers into the classroom who had not obtained regular credential coursework and student teaching experiences. This effect was even more pronounced for disadvantaged schools. I suspect the college will be engaged with this challenge for a good while. So, where do we go from here? In an email I previously sent to the college, I mentioned some ways WSU is working to address this issue. One thing that is clear to me is that the teacher shortage is not just a production issue. This is also a career issue. 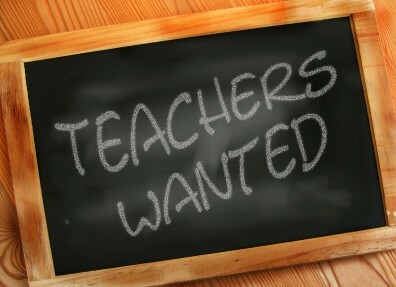 While increasing pay and incentives to attract people to be teachers will be necessary, the country will also need to find a way to articulate teaching as a solid career choice. I don’t have data to substantiate this claim, but my own experience and intuition suggests that the reform efforts experienced by K-12 for more than 30 years, and the seemingly relentless chorus of criticisms of the teaching workforce that accompany these reform efforts, have also discouraged many young people from considering teaching as a viable career choice. K-12 education is the largest item in almost all state budgets; thus, it receives considerable attention and rightly so. Washington state must continue to look for ways to better prepare teachers to productively work in a demanding profession. Our young people and local communities deserve and expect a quality education for all students. The economy depends on it. We must also re-ignite interest in a wonderful career; a career that has arguably been the backbone of our democracy and an essential component in the development of a prosperous, well-informed, and civil society. The stakes are high.